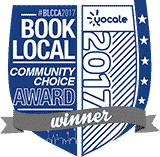 Peak Physiotherapy is delighted to have picked up a winner award from Yocale in the Book Local Community Choice Awards 2017. The 2017 UK Enterprise Awards casts a light on the very best firms and individuals from a diverse range of sectors. These awards celebrate the phenomenal accomplishments achieved by these remarkable firms and individuals over the last 12-months. PEAK Physiotherapy Leeds has been recognised with an annual award based on patient service excellence ratings from healthcare search engine WhatClinic.com. WhatClinic looked at 12 months of data from users of its site, in relation to PEAK Physiotherapy including patient review scores, feedback data and clinic contact rates. In 2016 over 17 million people visited the comparison site to find and compare clinics. PEAK Physiotherapy Leeds was only one of a small number of clinics on the site that met the exacting standards needed to qualify for the award. Not only must the clinic have a consistently high ServiceScore™ rating to qualify, the rating measures the clinic’s commitment to customer service over a whole year, and so represents long term commitment dealing with patients. Less than 2% of clinics on the site qualified for the award this year. WhatClinic.com CEO Caelen King congratulated PEAK Physiotherapy and said “Our awards are now in their 7th year, and this year, for the first time - we have made the ratings data that we use to calculate awards visible on our listings. Ratings are useful to both consumers and clinics. Consumers can see which clinics have rated well with lots of other users, and Clinics can evaluate their own performance against others in their market, ideally with the goal of getting better and better at serving their patients, which is ultimately good for everybody. GHP has announced the winners of the 2016 Healthcare and Pharmaceutical Awards. The healthcare and pharmaceuticals industry is as diverse as the individuals and organisations operating within it, and as such documenting and rewarding those who are striving to deliver excellence is a daunting task. As such the 2016 Healthcare & Pharmaceuticals Awards seek to chronical the individuals, departments and organisations, both corporate and public, that are working tirelessly throughout the industry. GHP prides itself on the validity of its awards and winners. The awards are given solely on merit and are awarded to commend those most deserving for their ingenuity and hard work, distinguishing them from their competitors and proving them worthy of recognition. To learn more about our award winners and to gain insight into the working practices of the “best of the best” in the health and pharma industries, please visit our website (http://www.ghp-magazine.com/) where you can access the winners supplement. Acquisition International Magazine has awarded PEAK Physiotherapy a certificate as a Winner in the AI 2016 Physiotherapy Top Fifty. Since 2010, Acquisition International Magazine's annual awards have been highlighting the amazing work done by those firms and individuals whose ceaseless dedication to innovation, customer care and the continued growth and improvement of their businesses has seen them forge ahead of their competitors and raise the bar for performance and results in their industry. AI Magazine pride themselves - and rightly so - on the validity of their awards and winners, an approach that is reflected in the rigorous and tightly monitored nomination, judging and selection processes. Every one of their awards is given solely on merit, meaning that there are no commercial requirements, no awards guaranteed by payment and no barriers to entry. In other words, no matter how big or small your business and regardless of where you're based, the only factors that will determine your success are the work you do and the results you achieve. We are happy to recruit and work with members of the Armed Forces, veterans, reservists and spouses of serving personnel. We appreciate and welcome the value that they can bring to the company. As a signatory to the Armed Forces Covenent, PEAK Physiotherapy Limited has been recognised with the Employer Recognition Scheme - Bronze Award. "I am very pleased with the treatment and its effectiveness. Sarah's professional help has been great, very helpful and she clearly explains what is happening and any recommended treatment. Thankyou! "